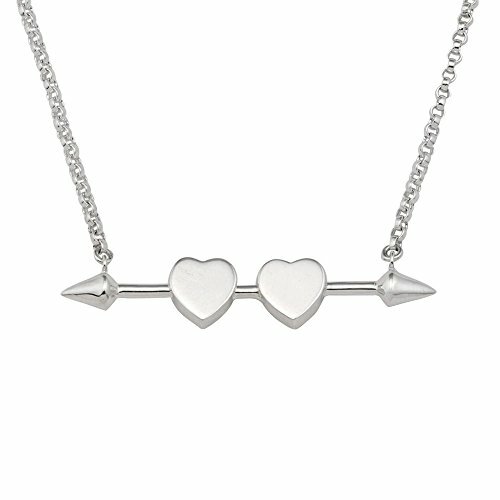 Mignon Faget Sweethearts Bar Necklace in Sterling Silver from the Whimsies Collection. ABOUT MIGNON FAGET Mignon Faget is a New Orleans-based jewelry brand deriving its signature designs from the natural and architectural forms of the city's environments. Since 1969, Mignon Faget has been a pioneering creative and design force in the New Orleans community and beyond, establishing the legacy of her namesake brand on honoring the city's rich cultural heritage. Mignon Faget's unwavering commitment to quality and handcrafted design means that all pieces are designed in New Orleans and made in America by skilled artisans. The heritage of the brand is anchored in making handcrafted jewelry that is not just an accessory but a wearable piece of art. If you have any questions about this product by Mignon Faget, contact us by completing and submitting the form below. If you are looking for a specif part number, please include it with your message.